T.V. 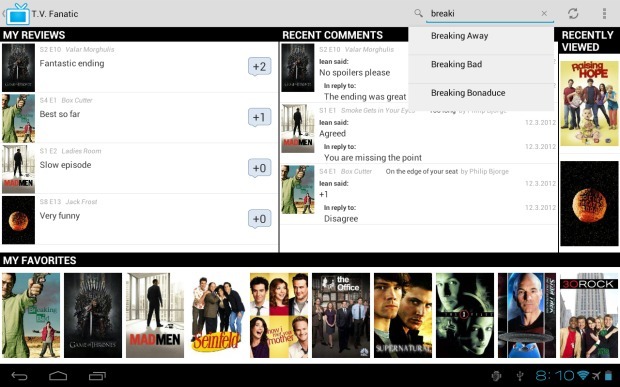 Fanatic is an Android app where users can share their opinions of the latest episodes of their favorite television shows and see what others are saying. This was a team effort by Jonathan Roberts, Daniel Prete, and myself for an Android development class. 2500+ TV series: Our database has access to every episode that has ever aired for more than 2,500 titles. T.V. 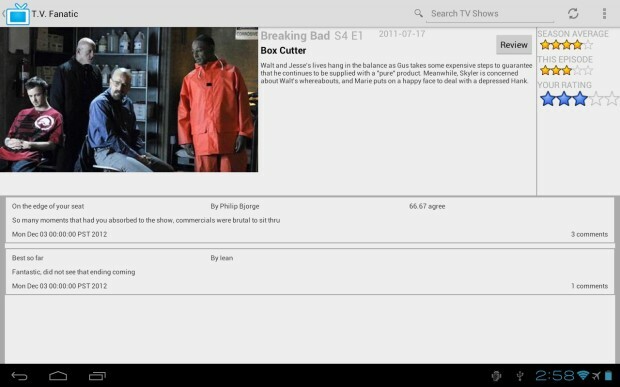 Fanatic provides a photo, summary, and more for each and every episode. 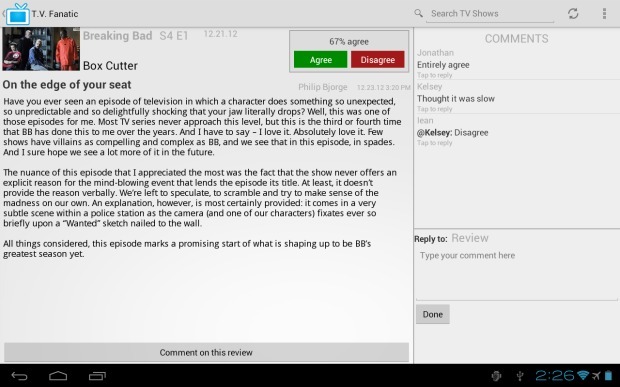 Become the critic: Review any episode of any TV series, and read reviews from users everywhere. Comment on reviews: Give feedback on reviews. Agree or disagree with a review? Let the author know! T.V. Fanatic strives to facilitate discussion. Personalized home screen: Your home screen keeps you posted with the latest discussion on your reviews, replies to comments you’ve posted, and more. 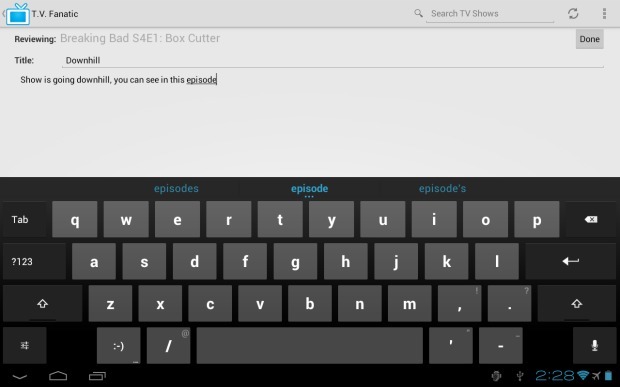 Keep track of your favorite shows: Add any show to your list of favorites with the touch of a button. 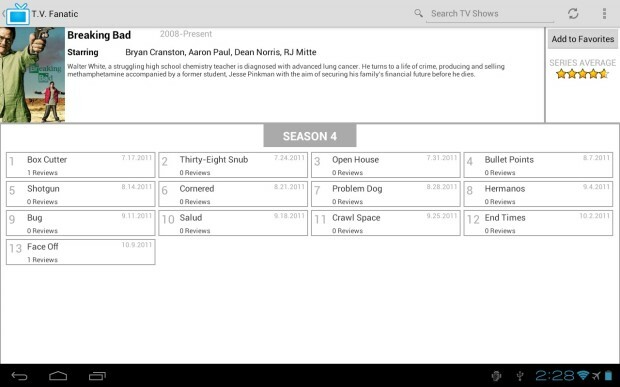 You now have instant access to that show from your home screen. Rate episodes: Rate an episode on a scale from 1 to 5. Average ratings for episodes, seasons and entire series are instantly updated.